will be in full swing. Novel Baker’s Birthday. . .
to wish a Happy Harvest. framing a plate in welcome. . .
Our temperatures have been in the 70s until recently and I’m past due replacing summer annuals. In the meantime I filled gaps in pots of coleus with green & purple foliage from a Sweetgum tree. to add to watering cans. captivity from a favorite antique mall. . .
and a safe distance from the table. Prettiest potting shed ever! Happy Fall. I am so enjoying your fall scapes and photos. It is my favorite time of the year! Nice and cool here in central Fl. And it makes me feel like baking. Enjoy your weekend! that turkey looks so happy….not to have to worry about the turkey day meal! 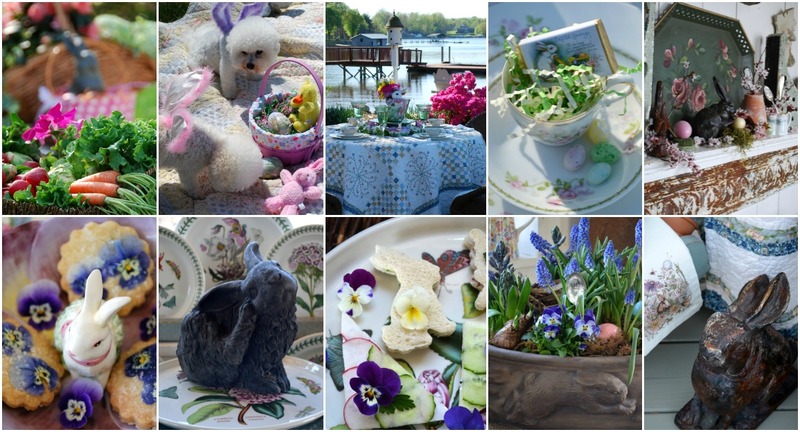 I bet you’ll have the prettiest and the most creative “Tablescape”! Your potting she’d is lookin’ good! Love your banner and turkey plate & platter. Thanks for keeping Thanksgiving separate, as all the stors are filled with Christmas already. Happy Autumn! 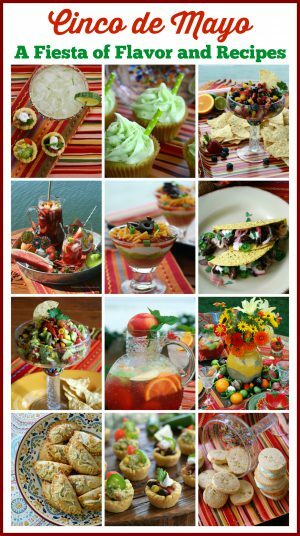 I am looking forward to the Fall Tablescape Tour. Your bittersweet wreath with the Turkey plate is so attractive. I also like your turkey platter. All your fall touches promote the season so well. I always enjoy a visit to the potting shed, Mary. Love the addition of the turkeys. My table next week includes Autumn Monarch. I like how you used an Autumn Monarch plates in the wreath! I’m a relatively new follower to your blog ( loved all your Halloween posts) and I must say that your photographs and styling are outstanding! I read many blogs, but yours is one of my favorites! Living in Phoenix, AZ, it so nice to experience “Fall” through your eyes and in such a beautiful location. I am sitting here swooning over everything. Your potting shed is such a beauty and then embellished by YOU makes my heart beat faster. I love the plate encircled by the wreath. The turkey platter is lucky to have been rescued too. BEAUTIFUL job!!!! BTW, did you make the bittersweet wreath? That is gorgeous. The Potting Shed looks wonderful all decked out for autumn! I could sit there for awhile on a sunny fall day ! I just LOVE your Potting Shed – you are such a creative person. Everything always looks amazing. So glad that you saved the turkey and that he has a nice place to live forever. Stop by and see my roses going crazy. I live in Southern California and so envy the beautiful fall colors you have. I love your blog and look forward to each posting. Happy Harvest!! Oh the potting is so ready for fall. You have added so many fabulous touches to the shed. Live the turkey platter in the box and the plate in the wreath. Lots if work but perfect to share with us. Can’t wait to see you on the tour. Mary, I haven’t noticed the stepping stones before. I love them. All your plants are pretty and still colorful. Photos are beautiful as usual. Take care and enjoy the Autumn season. 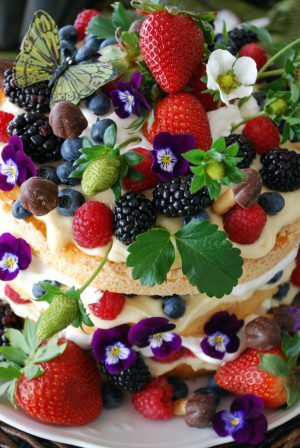 Love that bittersweet wreath…so lush with berries! I can sum it up in one word..BREATHTAKING!!! !..So many details that just makes my heart sing…and love the “free range turkey”…have a wonderful day Mary! 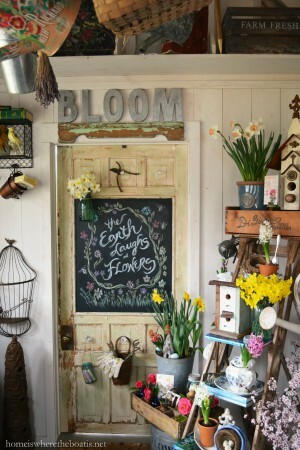 Love the potting shed and all of its seasonal changes – it’s my favorite!. I had hoped by now to have sent you a picture or two of my mom and me canning with our beautiful vintage jars we won, but this fall has been laced with some grief. I lost my Aunt in Sept. and one month ago today my male kitty of almost 20 years passed away. On top of all of this, the company I work for was sold and since I work in HR, we have been extremely busy with the transition to the new company. Your blog is my respite — the table settings, the water scenes, the recipes, but most of all the potting shed. Thanks for your lovely creations -they bring joy to the soul. Your the best! Mary, your potting shed is my absolute favorite of all time and I visit itoften (sometimes to look at older posts and drool/dream). Your styling is breathtaking and oh, so gorgeous!! I love the “M”. How did you get the (what I think is) galvanized look? Oh, I also have a large turkey platter similar to yours that’s been in my family for 50 years or more and I think I’ll use it the same way (sort of) as you did only mine will be on my outdoor baker’s rack to greet my guests. Love your free-ranging turkeys. ;) Beautiful mums and the corn! What would you do without your potting shed???!!!! Words always fail me when I read your posts, Mary. You have such an incredible talent! It’s difficult for me to express just how gorgeous your vignettes are. Thank you for sharing all that you do with us. You are truly an inspiration! Love every single picture.,,each one is eye candy! Your beautiful potting shed is always a favorite backdrop of mine. I love to see how you potting shed changes through the seasons. Wonderful to have you at Seasonal Sundays. Mary, I’m so glad you rescued that turkey platter! It didn’t need to languish there! Your photos are just astounding and I look forward to seeing your Thanksgiving tablescape! 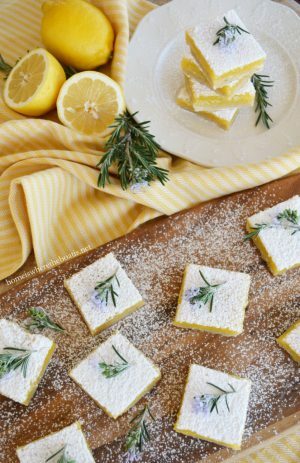 You could not possibly have time to do anything else but decorate and cook! Ha! Your stuff is Fabulous!!!! Love the Indian corn on the rake !!! Great job!